Are You A Sensitive, Passionate or Stable Blueprint? Your Best Weight Loss Diet Depends On It! Ayurveda describes three genotypes or Blueprints that are our original nature. They determine our metabolism, digestion, and all aspects of our physical, mental, emotional and spiritual being. Once you know your Blueprint you can learn what diet will work best for you. Do you need to lose weight? Gain weight? Do you have skin issues, insomnia? First know your blueprint, then you will know what works for you! Which of these Blueprints describes you? You like spicy foods (or they aggravate you), you have a temper, you are a manager or entrepreneur, you like to be in control, you are intelligent, love to learn, may be a teacher, leader, passionate about a cause. When out of balance you may have inflammation or skin problems. Your appetite may be very strong. You may be Pitta, the Passionate Blueprint. What food is best for your Blueprint? 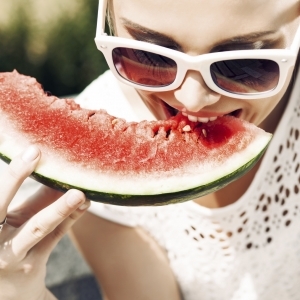 Will you lose weight if you eat watermelon? You don’t like regularity, are impulsive and creative and a great initiator of activity. You are a cheerleader in your life. You may be an inventor, a dancer or musician or artist. When out of balance you may have a hard time focusing your mind or feel anxious or ungrounded or have aches and pains. Your appetite may be variable. 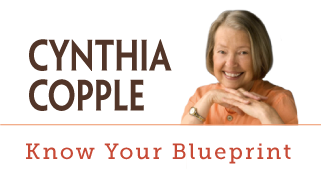 You may be Vata, the Sensitive Blueprint.You may be predominantly one Blueprint, or a combination. In the next blog I’ll discuss the best diet for the Sensitive (Vata) Blueprint. Strangely enough, although Sensitives (Vata people) tend to be lean and thin and like to move a lot (exercise, dance, etc. ), which you would assume keep them thin, they are often the Blueprint that is the most prone to having weight issues! 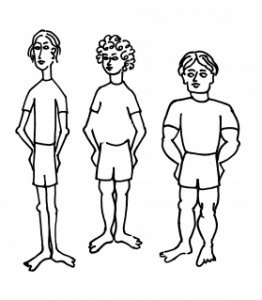 We will explore how and why they gain weight, and guidelines for weight loss in the next Blog. the photo of the gal with the glass of ice water does not fit with the ayurvedic idea digestive fire and contraindicated cold liquids. Is that ayurvedic ice? confusing. I think that photo is a mistake. Why Don’t Diets Work For Baby Boomers and Empty Nesters? Tired of being tired and not having a clear path to health? Why I wrote a book. Copyright 2015 Cynthia Copple. All rights reserved.